On Wednesday, October 1, 2014, the annual fee for both purchase and refinance loans will increase from .4 percent to .5 percent. The Guaranteed Underwriting System (GUS) has been updated to allow lenders to select and underwrite at either the .4 percent or .5 percent annual fee structure. Lenders should communicate with Rural Development (RD) offices to understand current processing time-frames. GUS “Final Submissions” with an annual fee of .4 percent, that areissued a conditional commitment by RD prior to the close of business on Tuesday, September 30, 2014, will not be affected by the annual fee change. Those submissions that are not issued a conditional commitment by RD prior to the close of business on Tuesday, September 30, will be affected by the annual fee change. Lenders must underwrite the loan using an annual fee of .5 percent and resubmit the application to RD in GUS. 100% financing, no down payment is required for the Rural Development Guarantee 502 Program in Ky. 30 Fixed 30 Year Rates only. Not limited to Kentucky first time home buyers. Typically cannot own another home when using the RHS Ky Mortgage Loan Program. Income Restrictions Apply by Kentucky Counties with most counties being limited to $75k for a household family of four, or up to $98k for a household family of 5 or more. Seller Concessions up to 6% allowed or up to appraised value. 640 Middle Credit Score is needed for an automated approval through GUS, but can go lower on credit scores to 620 with compensating factors, such as, verified 12 month rent history with no lates, 2 months reserves or more, limited debt to income ratios of 31 and 43% respectively with no lates in last 12 months. When a borrower has a rental property it must also be included in the eligibility calculation. The underwriter is responsible for calculating income and approving the loan. Applicants with commission only position’s, or varying amounts of overtime and bonus income may not exhibit enough stable monthly income to qualify. Typically, income of less than 24 months duration should not be included in qualifying income. Pay-stubs covering most recent 30 day period, W-2’s for the previous two years and telephone verification of employment performed by Freedom Mortgage (paystub must show at least 30 days of year-to-date earnings). If overtime, commission, or bonus income is used for qualifying purposes the file must be documented with a two year history of receipt and be expected to continue. Standard VOE, sent directly to the employer, along with the borrower’s most recent paystub. Copies of the borrower’s signed individual Federal tax returns that were filed with the IRS for the most recent two years. As an alternative, the Freedom may obtain IRS-issued transcripts of the borrower’s tax returns, as long as the transcripts include the information from all of the applicable schedules. The tax return documentation should be complete and include all appropriate schedules. The self-employed applicant also should submit current documentation of the business’s income and expenses, including any applicable Federal tax returns that were filed with the IRS for the most recent two years as well as year-to-date profit and loss and balance statements. Rental income may only be counted for repayment income if the lease has been in place for at least two years. For leases older than two years, count positive net rental income in repayment income and negative net rental income as debt. If rental income is not received for a full two year period then the full PITIA must be used in the debt to income calculation. Rental income calculation – reduce monthly gross income by a 25% vacancy rate, and then the monthly PITI, HOA dues, etc. are subtracted. If positive then include in income if negative include in DTI. How do Students Loans affect a Kentucky Rural Housing Mortgage Loan Approval? We are excited to offer you Kentucky RD USDA loans as our new product offering. Kentucky Student loans that are currently in repayment must have documentation to verify the current payment due (e.g. letter from a loan servicer, online account verifications, or other official written documentation). The credit report alone is not acceptable documentation. Verifications are valid for 120 days, 180 days for new construction. A fixed loan payment will not adjust over the repayment term. The payment listed on the documentation may be used for debt ratios. Graduated repayment plans typically start with low payments and then adjust every 12 months or more. Regardless of when payment adjustments occur, lenders must utilize the highest payment documented on the repayment plan agreement in debt ratios. Deferred student loans that are not in repayment status may use an estimated payment of 1% of the loan balance reflected on the credit report, or a verified fixed payment provided by the loan servicer to document the payment that will be due once deferment ends. If the IBR payment is less than $100 and 1 percent of the total loan balance is more than $100, a minimum payment of $100 must be included in the debt ratios. If the IBR payment is less than $100 and 1 percent of the total loan balance is less than $100, a minimum payment of 1% of the loan balance must be included in the debt ratios. If the current IBR payment is over $100, use that payment amount in the debt ratios. The program’s full name is the Kentucky USDA Rural Development Guaranteed Housing Loan program. 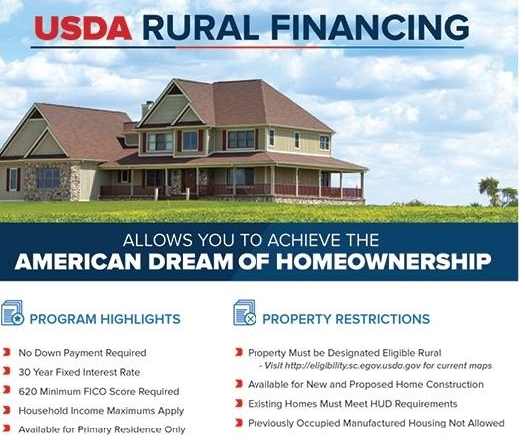 Most people call them “USDA loans” or “Rural Housing Loans.” Kentucky USDA loans are insured by the U.S. Department of Agriculture and the program’s most popular feature is its option for “no money down” financing. 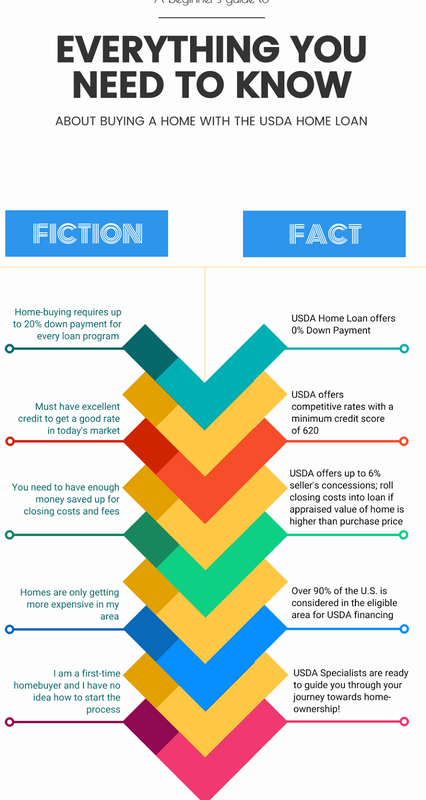 Via the USDA, you can finance 100% of a home’s purchase price. It is a common misconception that these loans are only for farm types of properties. In fact, income producing farms are not eligible for the program. 118 of Kentucky’s 120 counties contain areas that are eligible for program (The whole area of Jefferson & Fayette Counties currently are ineligible). Parts of Bullitt County, McCracken, Christian, Boone, Kenton, Campbell Counties are ineligible. The property cannot be located within the city limits of a municipality with a population level determined by the U.S Census with a limit set by the USDA. 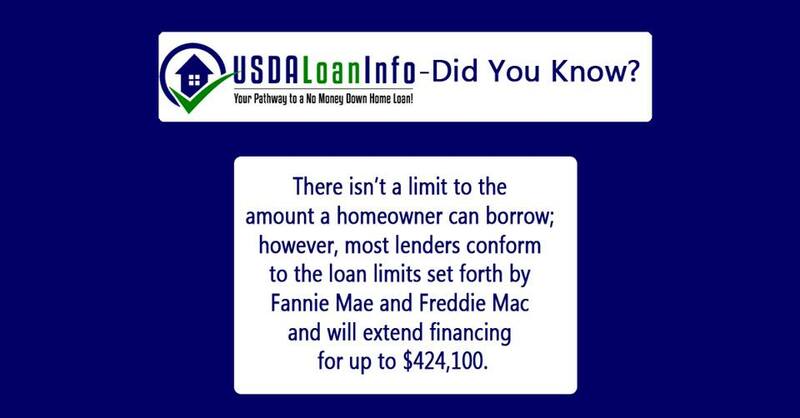 A Kentucky USDA loans are similar to other loan types including loans via Fannie Mae and Freddie Mac. 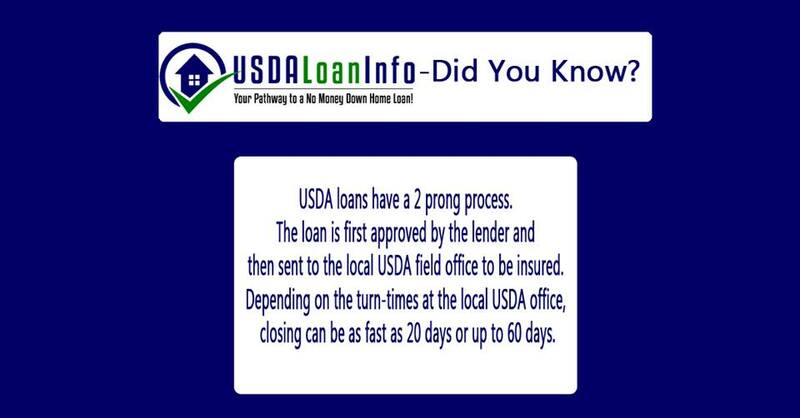 Kentucky USDA loans differ in their down payment requirements (none required) and its simpler loan approval standards. Kentucky Rural loans can be used by first-time buyers and repeat home buyers alike. Homeowner counseling is not required to use the Kentucky USDA program. Mortgage insurance premiums are also often more attractive than many alternative financing types. As a real-life example, then, a homebuyer with a $100,000 loan size in Kentucky would be asked make a $2,000 upfront mortgage insurance premium payment at closing, plus $33.33 in mortgage insurance monthly. The upfront mortgage insurance is not required to be paid as cash and the amount is often added to your loan balance even above the purchase price and appraised value of the home. USDA is one of the only loan types that allows you to also finance in other closing costs and prepaid items above the purchase price up the appraised value if it is greater than the purchase price of the home. Also similar to the FHA, the USDA requires mortgage insurance premiums to be paid until the loan is paid-in-full, or until the home is sold. USDA mortgage insurance rates are lower than those for a comparable FHA mortgages.assess a 1.75% upfront mortgage insurance premium and charge as much as 1.55% in MIP annually. For home buyers today, there are two mortgage programs which offer 100% financing. The first is the VA loan from the Department of Veterans Affairs. It’s available to most active military personnel and veterans nationwide. The other program is the U.S. Department of Agriculture’s Rural Development Single Family Housing Loan Guarantee Program. Sometimes called a “Rural Housing Loan” or a “Section 502” loan, today’s USDA financing isn’t just for farms. Because of the way the USDA defines “rural”, there are plenty of exurban and suburban neighborhoods nationwide in which USDA loans can be used. Home buyers who buy a home in a qualified USDA area, and who meet USDA income eligibility requirements, can take advantage of the USDA’s low interest rate, no downpayment mortgage program..
For more information and to apply for an Kentucky FHA, VA, USDA or other type of Kentucky mortgage, contact one of our and take the next step toward home ownership today! RHD has several online resources to assist you with learning the eligibility rules and the calculations for the guarantee fees. The GRH program is similar to a mortgage insurance program. The borrower may purchase a home at 100% LTV based on the appraised value on a 30 year fixed rate loan. The one time, upfront guarantee fee can be added to the loan as well. As a result, the total LTV on GRH loans is often between 100% – 103%. In addition to this upfront fee, the borrower will have monthly insurance premiums that are added to their qualifying housing expenses. The 2014 Income Limits for Kentucky USDA’s Single Family Guaranteed Loan Program were recently published. The good news is that the majority of all areas either increased or stayed the same. Click Here to view the updated Kentucky Rural Housing USDA Income Limits for 2014 in your area.